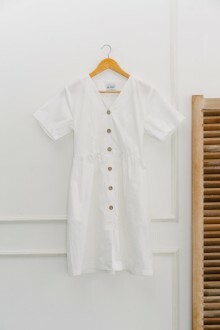 Two-way midi length summer dress with reversible ribbon and buttons accents. Feranda comes with adjustable straps, spacious side pockets for your upmost comfort. Feranda is also available in Polkadot.